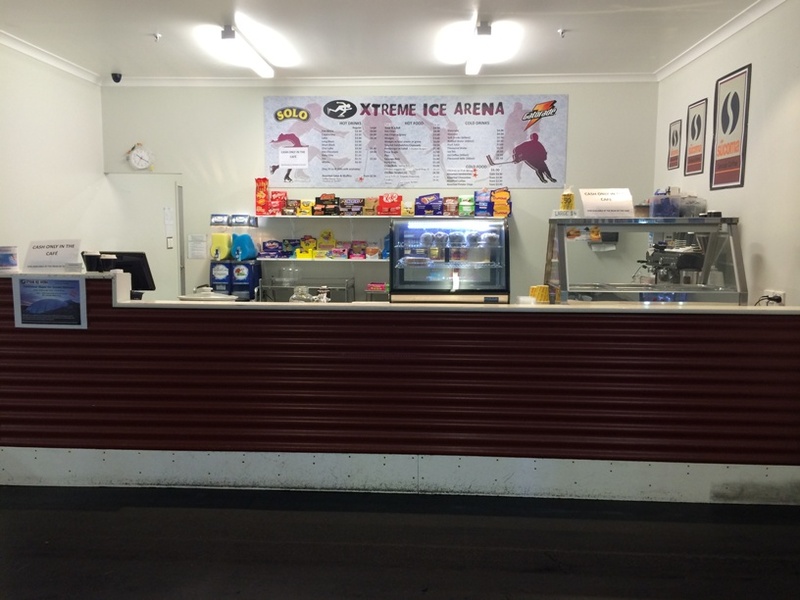 Xtreme Ice Arena Mirrabooka is an ice rink that hosts a range of ice skating sessions and parties. 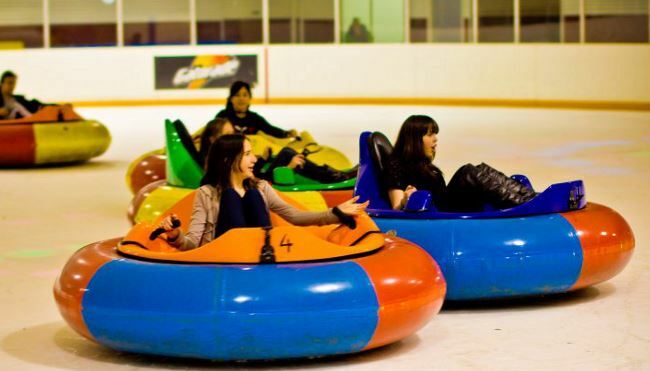 They also have bumper cars on ice and toddler snow sessions called Rug Rats on Ice. 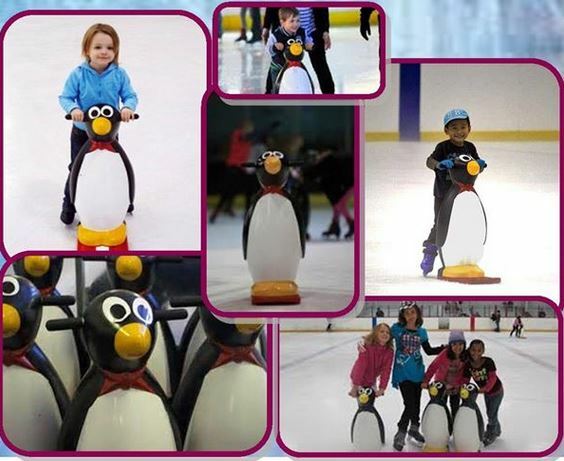 On our visit we enjoyed the Rug Rats on Ice Session, for kids 5 years and under and their parents or carers. 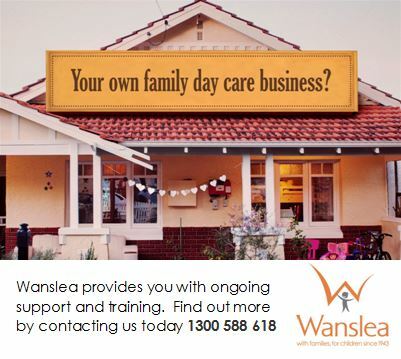 The sessions run Wednesdays and Fridays, 10-12noon, in the school term, and cost $10 per child and $5 per adult (which includes skate hire and a coffee or other hot drink). 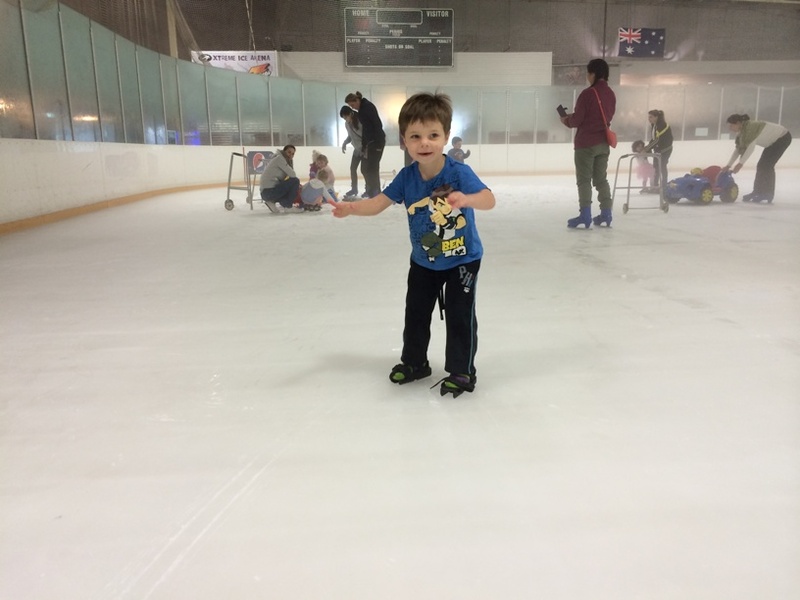 You don't have to skate at this session, you are allowed to wear shoes onto the ice rink and kids who don't want to skate can also get little ice shoes (see picture below). 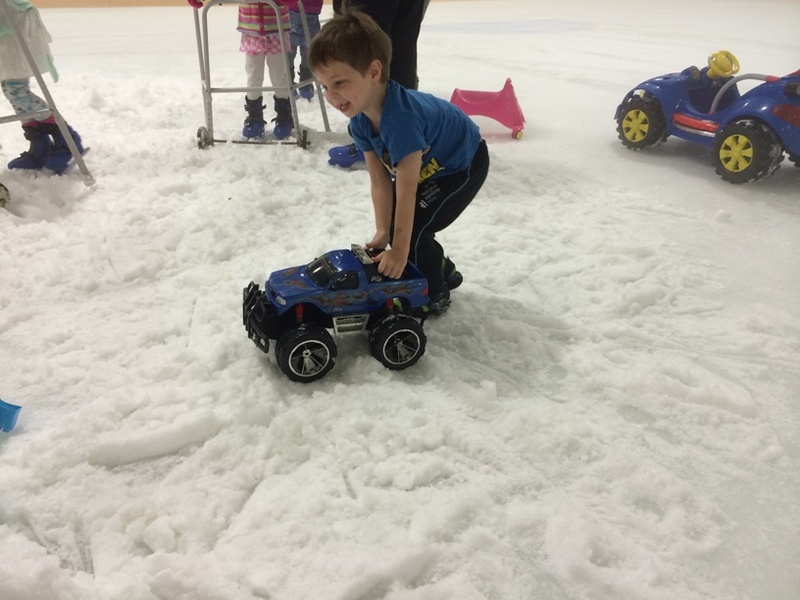 In the Rug Rats on Ice Session you can skate and play around in the snow located at one end of the ice rink not far from the entry. It's a great experience especially for kids who have never seen snow. There are some buckets, shovels and toy cars in the snow so it's lots of fun. 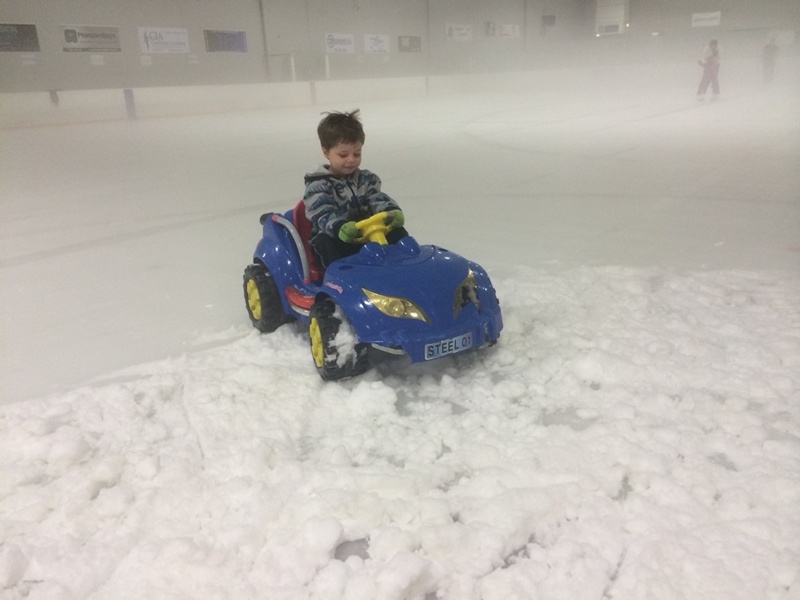 Although my boy is pictured in a t-shirt above it is cold - so we recommend long pants, jumpers, beanies, gloves and enclosed shoes, just incase they don't want to wear skates. 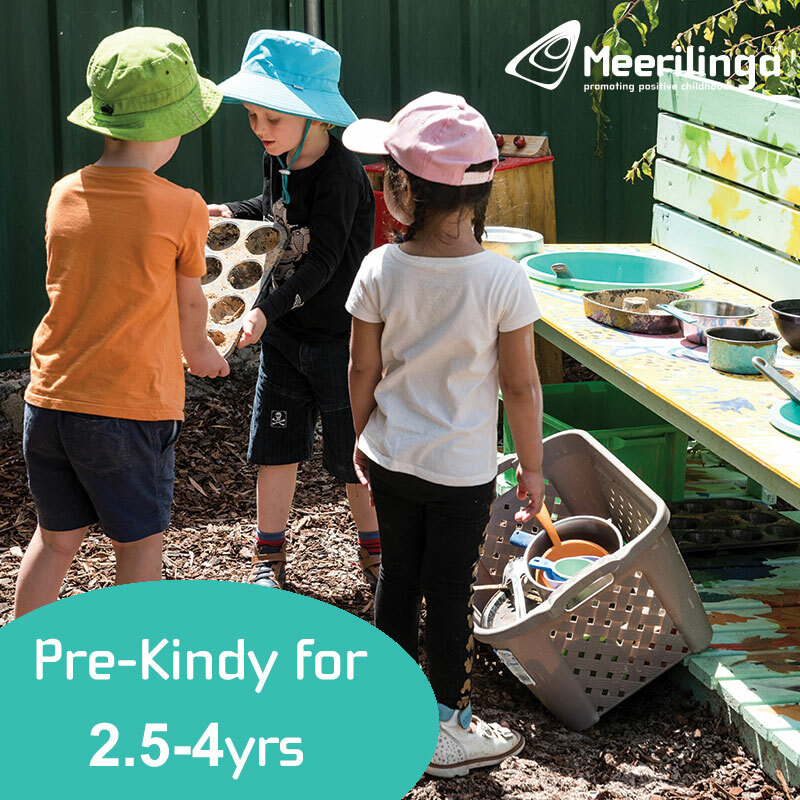 You can't bring in outside food but there is a great little cafe with a good range of drinks, snacks and light meals - and don't forget to use your free coffee voucher while you are having a break from the snow. You can enjoy bumper car sessions in the school holidays, during the term and on the weekends. 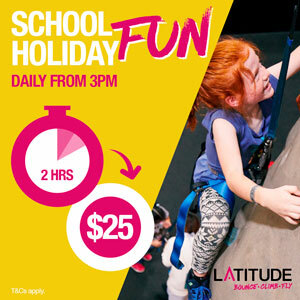 It's $5 for 5 minutes an it's lots of fun.